I've stayed in those cabins. Very rustic. Don't look for luxury in those cabins. It was a fantastic fishing trip though and I did enjoy myself there. Great place. I like either the Outer Banks or the Gulf Coast. Both offer a good beach experience. The other factors like what are your interests and how much civilization do you want to be in/near. Plenty of campground choices either place you go. Here are some of our favorites.Assateague National Park. One state park campground with one loop of electric. National park has several loops. No hookups but they allow some generator use in certain loops. 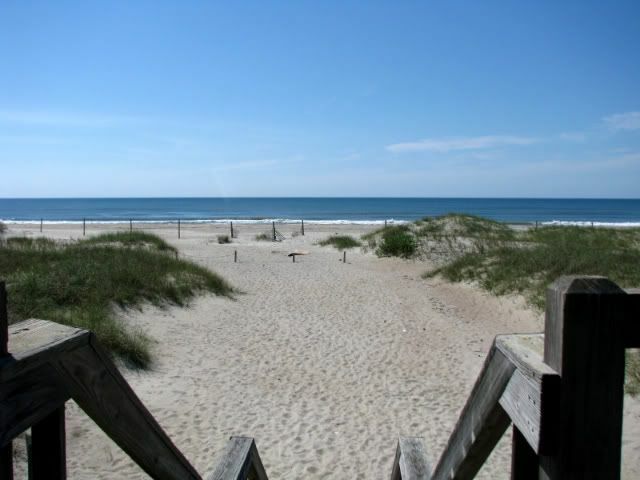 Cape Hatteras national Park has 4 campgrounds. The one at Oregon Inlet has some water and electric sites. We liked their Frisco Campground. No hookups but generator use is allowed. 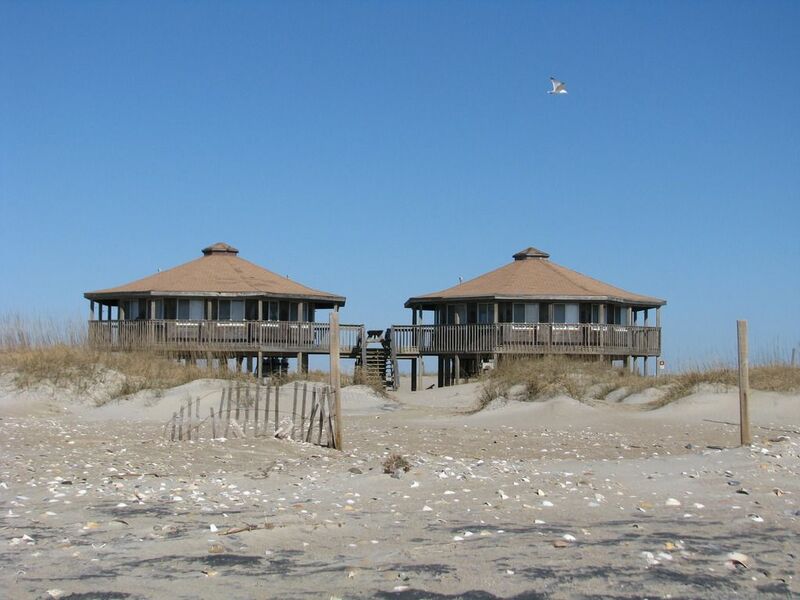 Hungtington Beach State Park in South Carolina.Most sites are water and electric but they do have some FHU too. They have a very good nature program with walks on the beach or programs in the lodge. You can also visit Atalaya,home of the former owners. They have a nice campstore and short walk to the beach. You are right down the road from Murrel's Inlet. They have some nice restaurants like Drunken Jacks. I always get a kick when y'all are comparing beaches. We have been to Myrtle, OBX & Assateague National Seashore. They all help me appreciate how good I have it right at home. By the looks of it I need to start looking at the Outer Banks. Cape Hatteras looks really nice. WOW Gulf Destin only shows 2 sites available for our dates in October.Must be a popular camp ground. It looks beautiful. all campgrounds are becoming hard to get into unless you book a year out or if it is a not so desirable place. Deleware Seashore State Park is right by the ocean, and right on the Indian River Inlet. The park itself isn't much, but the location is great. No trees, you are out in the sun. Easy access to ocean, river and nearby beach towns. Cape Henlopen State Park is a little further north on the Atlantic Ocean by the Deleware Bay. Nicer park like setting nestled in pine trees. A little longer walk (couple minutes) to the water, but easy access. Camp Hatteras in NC is pretty nice. We are going there next year, but a camping friend was there last year. The ocean is literally on the other side of the dune from the campground. Again... no trees in the summer. Don't bother with Hilton Head. I was over there years ago and aside from a small public beach, the rest of the island was controlled by private, restricted developments. I was over there last year for an afternoon to pick up a Leer topper that a guy was selling and its worse now that it was. Its not the kind of place I would want to vacation or live. Much of the Florida Panhandle is still in good shape, Hurricane Michael got everything from Tyndall AFB at Panama City, over to Port St Joe, but the rest of it was either not affected or has already recovered. Oddly everything is the same distance, Dauphin Island, Ft Pickens, and Hilton Head (via I-40 over the Smokies) is 765 miles from the point on the south side of Indy I picked. Hilton Head is 810 miles if you go thru Atlanta to avoid the smokies. I was at Dauphin Island Alabama, at the mouth of Mobile Bay, last fall, and was quite happy with the visit. (765 mi from the south side of Indy) Depends on what you like to do, but the city owned campground is nice (but could stand some minor things like getting rid of a couple of derelict city trucks that hadn't moved in years, and fixing a couple of issues with their very nice brand new restrooms and showers (water runs out of the shower into the dressing area of the stall). Across the street is the ferry terminal. For $5 you can (on foot or bicycle) ride across Mobile bay and back, and while on the other side, visit Ft Morgan. Just past the campground is Ft Gaines, which is also a nice visit, and also across from the campground is the Estuarium, a very nice aquarium focused on the bay and marine estuary environment of the bay. Adjacent to the campground is a 100 acre Audubon Wildlife and Bird Sanctuary with lots of walking trails and signage. Plus there is a nice beach and pier for fishing. There is also some good seafood eating on the island. You also have the Battleship Alabama and associated aircraft and ship displays you can visit on the way down, plus other historical venues such as Bellingrath Gardens. Another option is Ft. Pickens-Gulf Islands National Seashore at Pensacola. The drive is same distance as to Dauphin Island. I have been there several times and the beaches are fantastic, and again, some good seafood eating (I am not, however, a seafood person). Lots of stuff to see and do in the area, including the Naval Aviation Museum at Sherman Field-Pensacola NAS. Near the museum is Big Lagoon State Park which is good camping and walking trails, and easy access to Johnson Beach, also part of the Gulf Islands National Seashore. If you have an America the Beautiful Pass or Senior pass, you will save the $20 fee at Pickens and Johnson Beach.